Robert Muirhead's father was Andrew Muirhead (born in Pollockshaws, Renfrew about 1824) who was a leather merchant. His mother was Isabella Muirhead (born in Irvine, Ayrshire about 1829). Robert Franklin Muirhead had three older siblings: Mary (born about 1854), Elizabeth (born about 1856), James (born about 1858) and five younger siblings: Henry (born about 1862), Isabella (born about 1864), Alice (born about 1866), Roland (born about 1869) and Florence (born about 1871). Robert Muirhead married Linnie Hurndall (born in Rickmansworth, Hertfordshire England in about 1869) in 1893. They met while Robert Franklin Muirhead was teaching in Birmingham where Linnie was living at the time. She was a violin teacher. They had four children Waldo (born about 1894), Roland (born about 1900), Ruth (born about 1901) and one younger daughter. 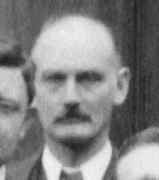 Robert Muirhead was an active member of the Edinburgh Mathematical Society.